Kelley and Joel Philips outside the current Herschel St. location of Philips Garden Store. Philips Garden Store was established in 1961 by Kelley Philips Jr., with the original location on South Edgewood Ave. The Edgewood location served the Murray Hill and surrounding neighborhoods for 20 years, when it became apparent that the popularity of the nursery necessitated a larger location. 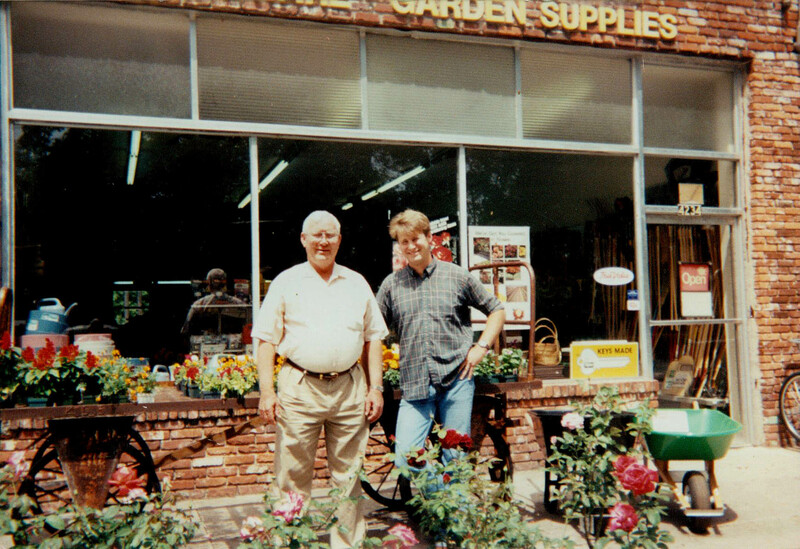 In 1982, Warner’s Nursery, operating at 4234 Herschel Street, became available, at which time Kelley purchased the property and opened a full service plant nursery & hardware store. In 1993 Kelley retired, and his youngest son, Joel Philips, purchased the family business. Since then the nursery has grown and evolved with the surrounding neighborhoods of Murray Hill, Riverside, Avondale, Woodmere, Fairfax, Ortega, and Ortega Forest. Some things have changed – hardware has been replaced by outdoor furnishings & garden decor, pergolas and trees have sprung up to add both appeal and shade, and more “green” products have been added. More importantly, some things have stayed the same – the highest quality products – and an emphasis on friendly & knowledgeable customer service. 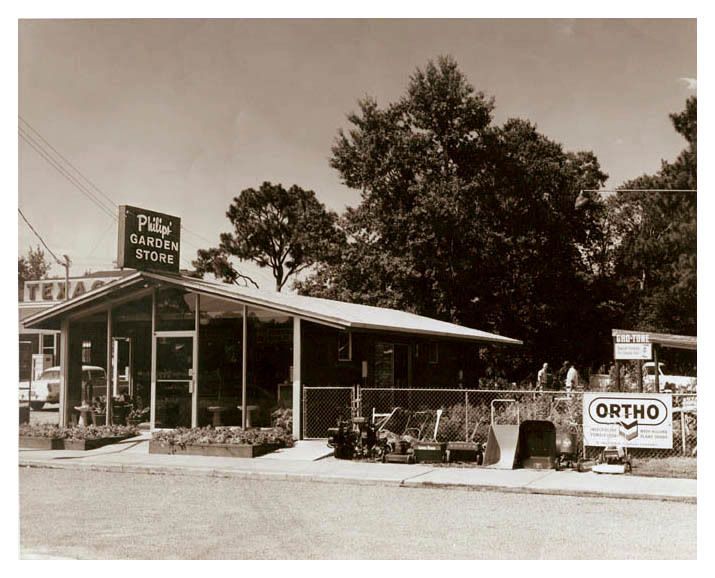 More than fifty years later, in an era of big box stores and the rise of the internet, Philips Garden Store remains true to it’s independent, mom & pop roots. We appreciative that our loyal customers, some of whom are third generation, still make Philips Garden Store their go-to place for their garden needs … and wants! The original Edgewood Ave. location, in Murray Hill.